I was looking for a new crossbody bag for awhile, my criteria for this new bag was that it had to be made leather, have gold hardware, and have a long extendable shoulder strap. I came across the MK Ginny while I was randomly shopping online and the bag ticked everything that was on my list. 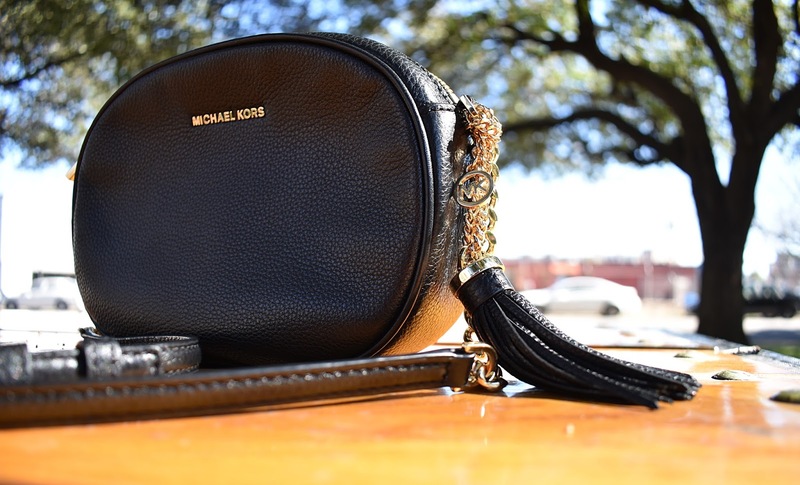 My favorite aspects of the bag is the chain and leather strap and the tassel charm. 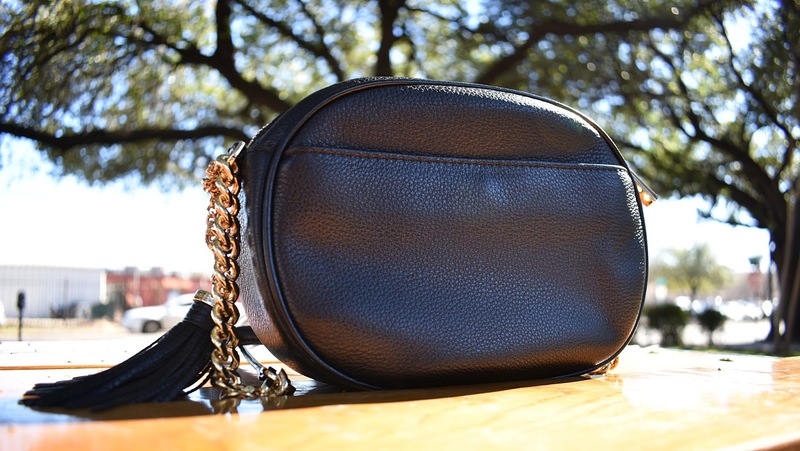 The Ginny is made of pebbled leather and features gold tone hardware. 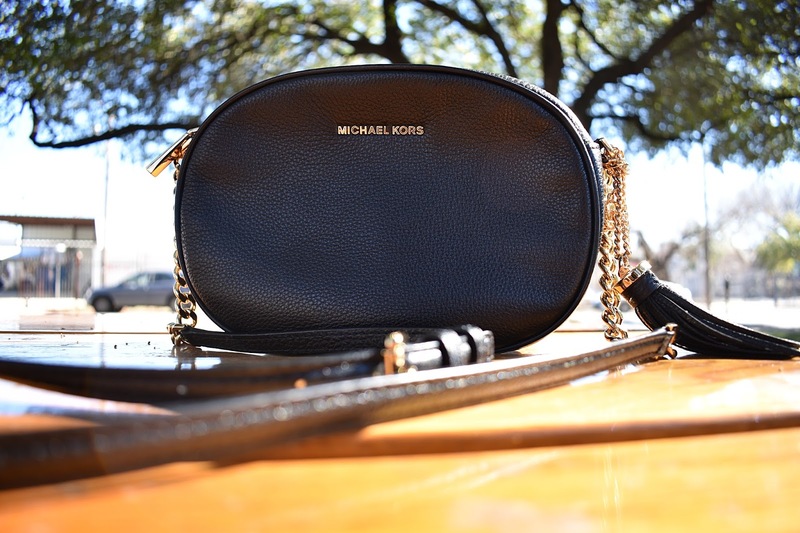 The exterior the bag has a top zip closure, the Michael Kors logo in gold tone hardware on the front center of the bag, a back slip pocket with snap closure, and a removable tassel charm. The interior of the bag is lined in polyester, features one slip pocket and three card slots. 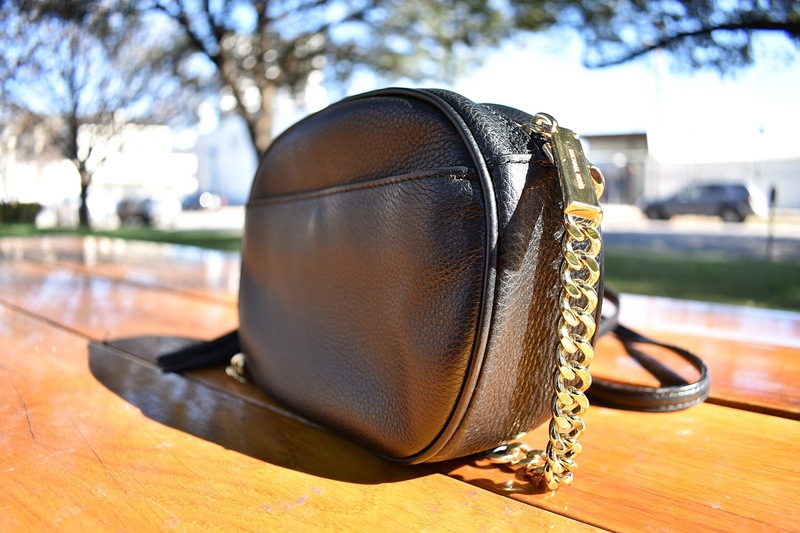 The chain and leather adjustable shoulder strap is not removable and has a drop of 22.5 inches. The medium sized Ginny has a width of 8.5 inches and height of 6.5 inches. The Ginny fits all of my basic necessities like my card holder, round coin purse, makeup bits, and iPhone. The pebbled leather is super soft and the compact size of the bag makes it perfect accessory for any one constantly on the go. Thanks for your review, I am looking into purchasing this bag and your thoughts are helpful.